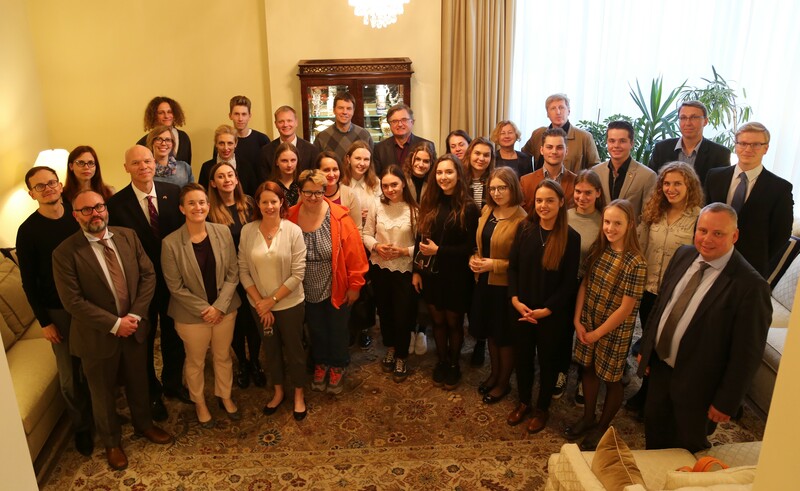 On October 17, American Councils staff and Alumni Coordinator Lukrecija Neverovskaja ’17 (Vilnius, Lithuania’ Hainesport, NJ) met with the U.S.-Lithuania Alumni Coordinator, Auste Valanciute, at a collaborative networking event with the support of the U.S. Embassy in Vilnius. 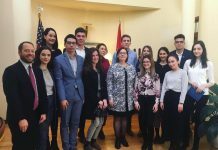 The goals of the networking event were to form ties between alumni of different U.S. Government (USG) exchange programs and to provide FLEX alumni with the opportunity to interact with various professionals able to offer education and career advice. 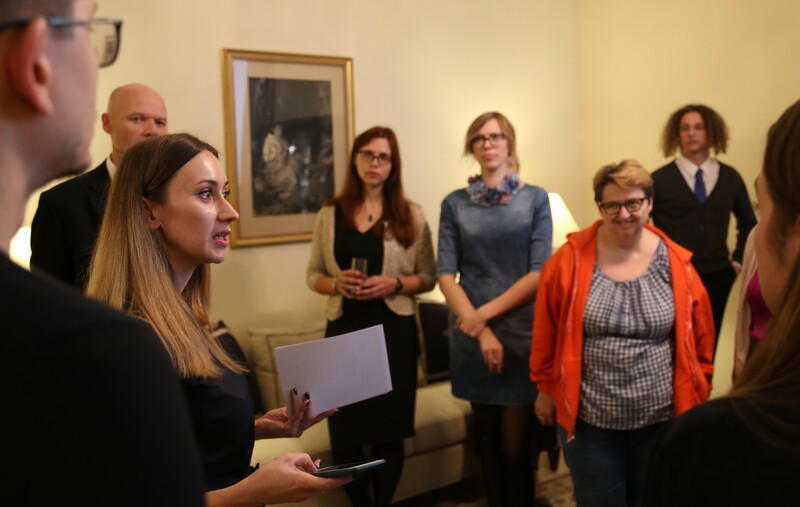 This event laid the groundwork for developing future networking events or mentorship programs with the members of the U.S.-Lithuania Alumni Association. 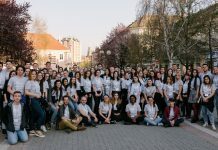 Many alumni attended the event, including 16 FLEX alumni and 15 Fulbright, IVLP, and other graduate-level professional exchange program alumni. 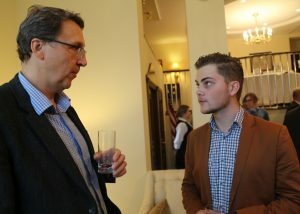 Marcus Micheli, Deputy Chief of Mission of Embassy Vilnius, hosted the event at his residence. After Micheli’s opening remarks, Dr. Meghan Luckett, the Second Secretary-Vice Consul of the U. S. Embassy in Lithuania, and Kevin Reiling, Regional Director for American Councils, delivered speeches on the benefits of networking while including some examples from their own personal and professional experiences. 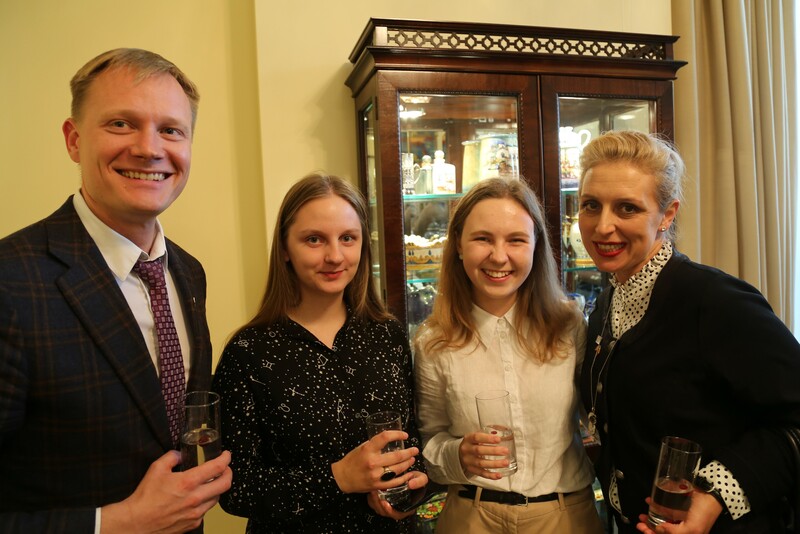 After the speeches, FLEX and senior USG program alumni participated in a speed networking activity, during which FLEX alumni from Lithuania interacted with professionals in their fields of interest and asked them questions related to their careers. Participants engaged in one-on-one conversations, after which they exchanged business cards. 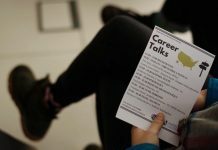 “This networking event gave me a chance to explore aspects of my future career from a whole new perspective. It was something I would never have gotten to do at school. 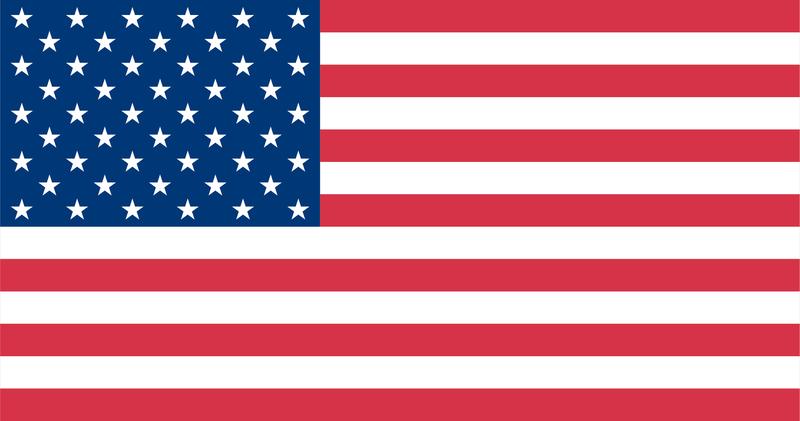 We all got a glimpse of what different careers look like beyond the descriptions on the Internet”, explained one FLEX alumna who spent her exchange year in the U.S. from 2017 to 2018. After the Eurasia FLEX Ability workshop, there are so many familiar faces in this photo! 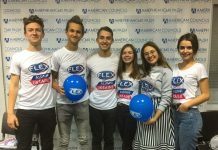 Congratulations on the success, FLEX Alumni Lithuania!